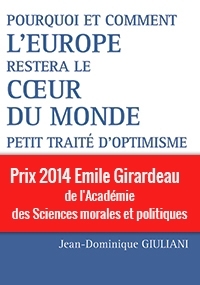 The Chairman of the Robert Schuman Foundation, Jean-Dominique Giuliani is the author of "Pourquoi et comment l'Europe restera le coeur du monde - Petit traité d'optimisme". This book published by Lignes de Repères available in paper and in digital format (e-books and tablets), was awarded the Emile Girardeau Prize from the Academy of Moral Science and Politics on 17th November. France-Germany: so far apart, so close?